Many of us love the idea of nice looking and not to mention pleasant candles lit up around the home. The lighting of candles provides an atmosphere that no other light can; it is warm, intimate and cozy all at the same time. 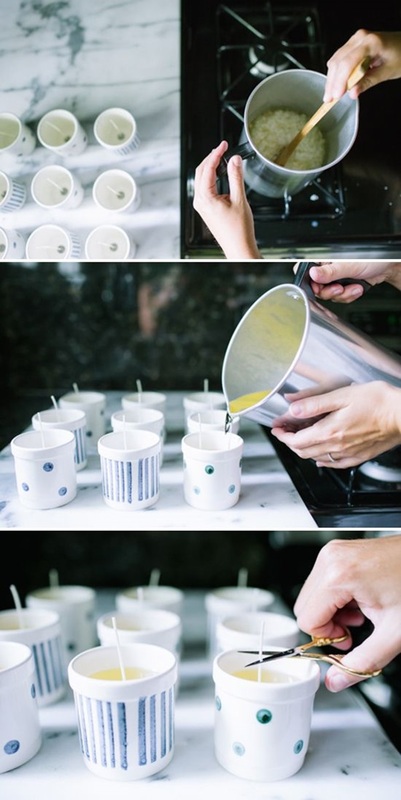 The best part of scented and decorated candles, is that you can do it easily all by yourself. These come in really handy during the festive season. 1. Citronella scented candles for the hot weather: You need some wax, wicks, citronella oil and some old containers to build the candle inside. If you did not already know, then let us tell you that citronella oil is pleasant to smell, it is natural and also a great repellant of all kinds of bugs. Just melt, mix, place the wick in the middle and pour the mixture to allow it to set. 2. 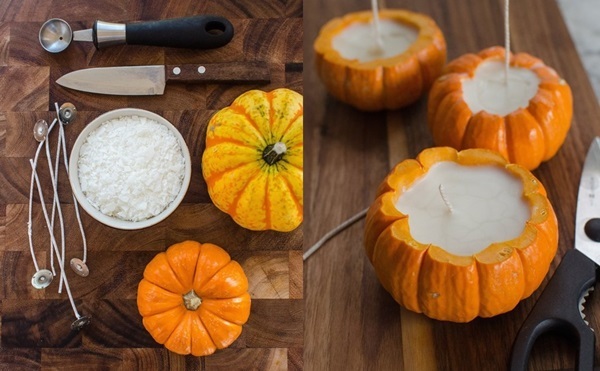 Mini Pumpkin shell candles: Again you will need wax, wicks and the one thing different in this one is the hollowed out pumpkin shells. You can drill some holes on the sides to thread through some strings before creating the candle so that once you light it, you can hang it. 3. 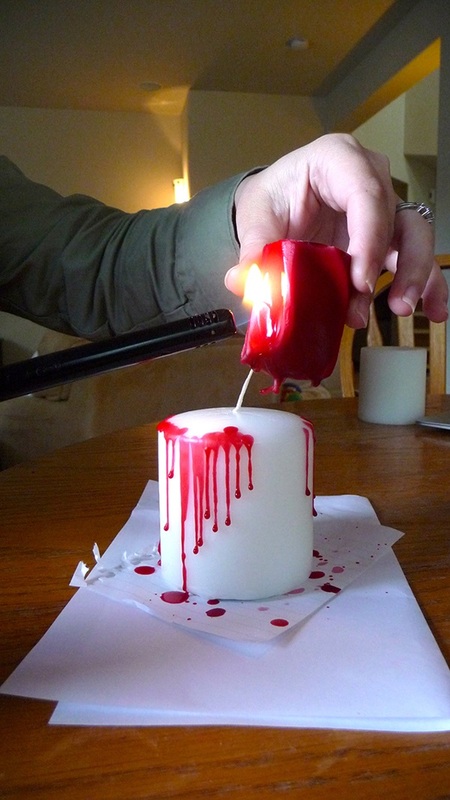 Candles that seem to drip blood for Halloween: Simply take some white candles and embellish these with some red wax to create the blood like effect. 4. 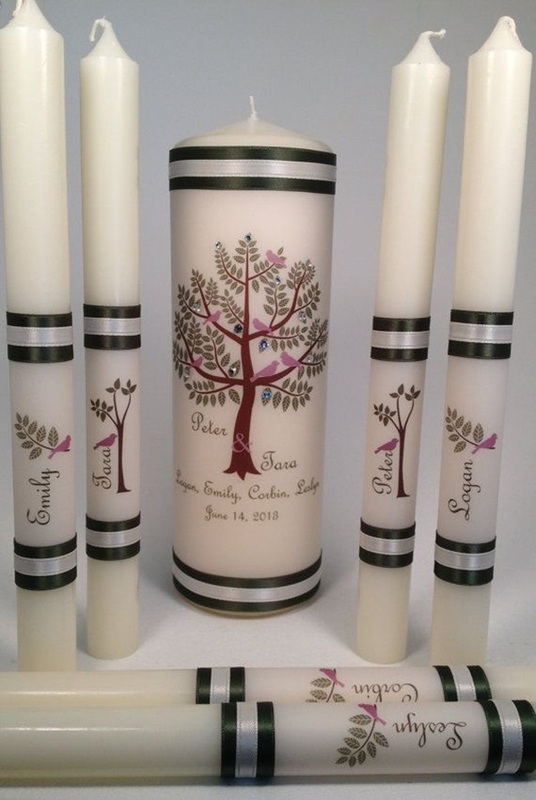 Painted candles to form the center of the table: Simply draw the outline of the design you want to paint on to the candle and fill the drawn lines with paint. These sort of candles make an excellent centerpiece on a table. 5. 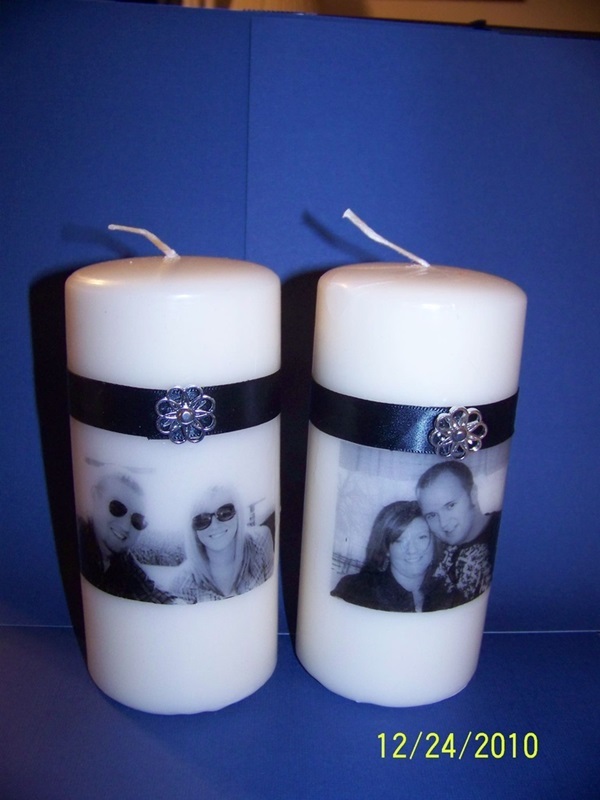 Candles with print on them: Take a print of an image that you want imprinted on the candle and then stick it on with some sort of glue or even melting the wax on top enough to hold the image. 6. Ice like candle: Use candles in white and blue and generally create ice like imprints on top and use these candles for special occasions. 7. 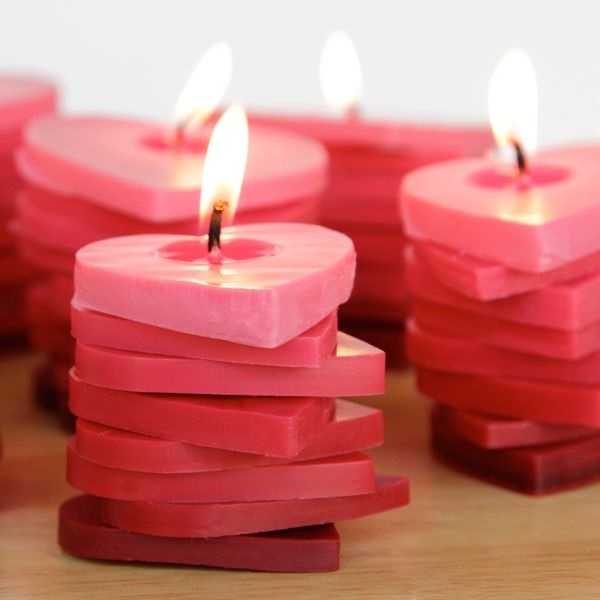 Valentine day romantic candles: Add some colors and scents to create a red looking candle along with rose scenting the air to create that lovely romantic atmosphere. You can stick on heart shapes to the candle to make it even better. 8. 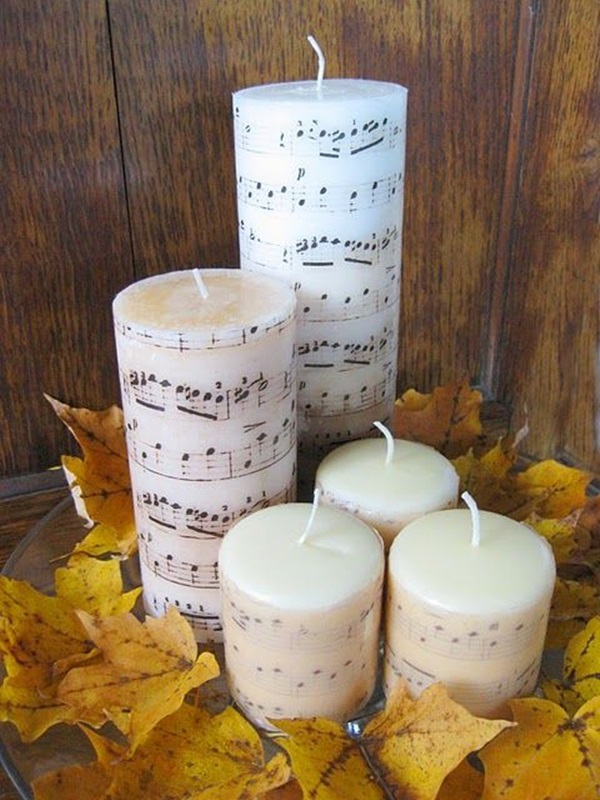 Music notes on candle: Print music on to tissue paper and stick these musical notes on to a plain and thick candle to make it look as if the music notes are on the candle. If you can play some matching music as the candle is lit, then you have a winner in your hands. 9. Candles with scent: Pick up some small vials of essential oils that can be used in candle making and this to the wax as you make your candles to make them scented. Soon you will learn that there are different scents for different purposes.You can also earn money by making candles at home. 10. 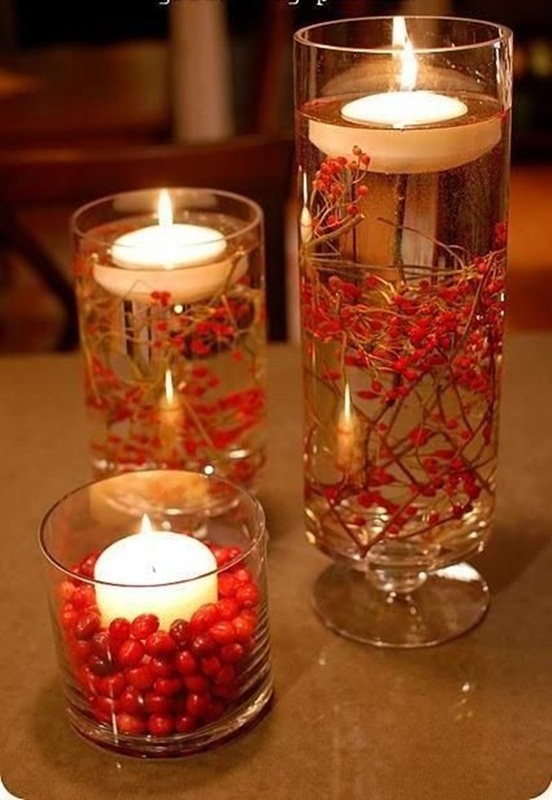 Shimmering candles for the holiday spirit: You can actually coat the candles with something as mundane as glue and get a shimmering effect by coating this with Epsom salt to get a shimmering effect on plain candles. Tie a bow of some glittery ribbons to complete the festive effect. 11. 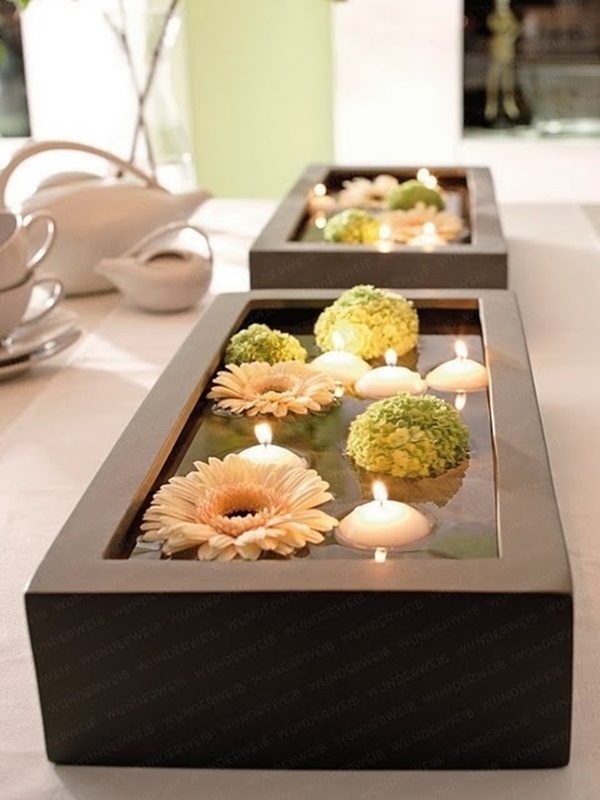 Floating flower candles: This is rather simple to do – start with filling a clear glass container with water. Drop some petals in the glass container. 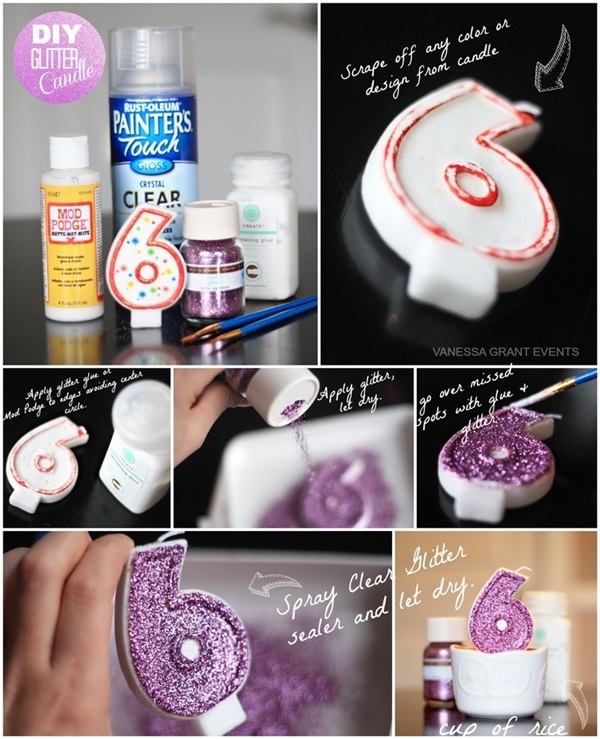 And then light up those small floating candles and allow them to make things special around you. 12. 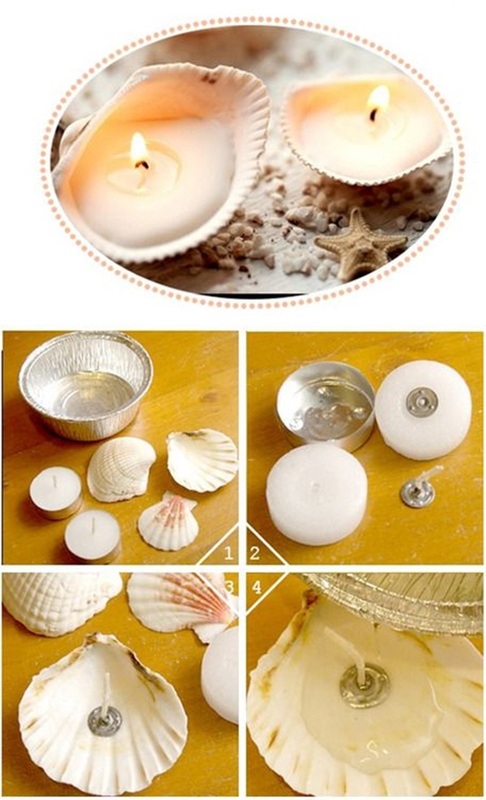 Shell candles: This is a charming idea which you can pull off by using either natural or artificial shells. Simply place a wick in the middle and then add the wax. Light the candles and enjoy the appreciation. 13. 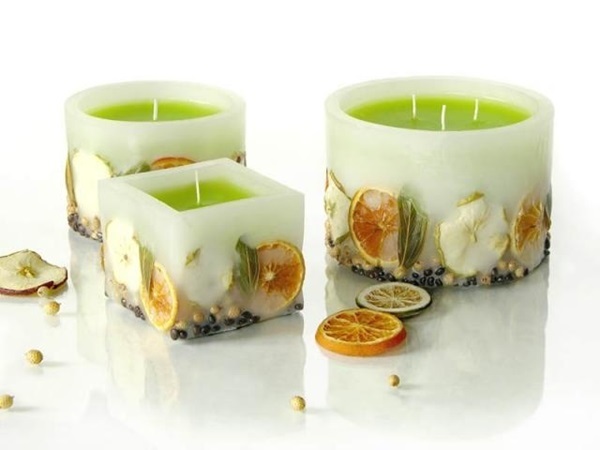 Citrus candles: Cut lemons into half so that the surface available in the shell is huge. Then scoop out the innards of the lemon with the help of a melon scooper or a spoon. Fill with wax after placing a wick in the center. You can also add a few drops of lemon oil to accentuate the fragrance of the candle. 14. 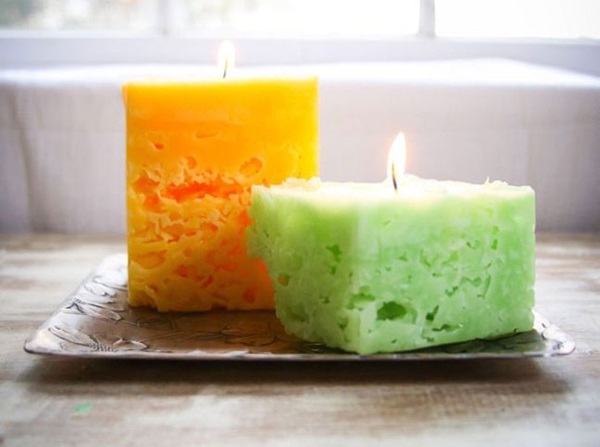 Candles that float: Spray oil or some other such thing on to a muffin tray and then follow the usual process of filling it with wax with a wick in the center. Once the wax has set pick up the candle and light them to place it on water. 15. 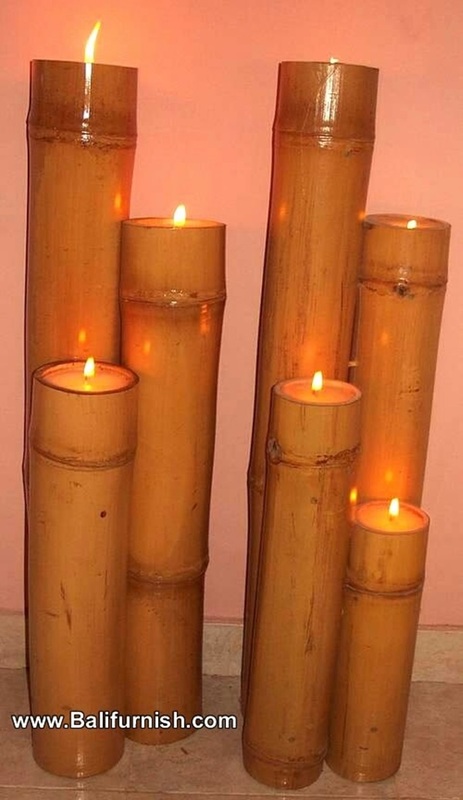 Bamboo candles: Use the hollowed out center of bamboo shoots to make cute and picturesque candles and use it in a rustic setting. Once you are into this kind of hobby, you will find that there is dearth of ideas in as far as making candles are concerned. You can create many versions and variations with the use of fragrances and colors to mold candles in different shapes. It is not of the bounds of imagination to create has an oriental theme or something that will appeal to a child’s fancies like a castle from wax. It is all a matter of doing things creatively.